A view of the retina, giving doctor Wilson a more detailed view than he can get by other means. The opportunity for you to view and discuss the optomap® image of your eye with Dr. Wilson at the time of your exam. The optomap® Retinal Exam is fast, easy, and comfortable for all ages. To have the exam, you simply look into the device one eye at a time and you will see a comfortable flash of light to let you know the image of your retina has been taken. The optomap® image is shown immediately on a computer screen so we can review it with you. Do you know what blue light is? As you read this article, you are probably being exposed to harmful Blue rays from your computer screen, cell phone or tablet. Blue light, also known as high energy visible light, is emitted by many of these electronics, and is a serious threat to eye health which was previously unknown and irrelevant in generations past. 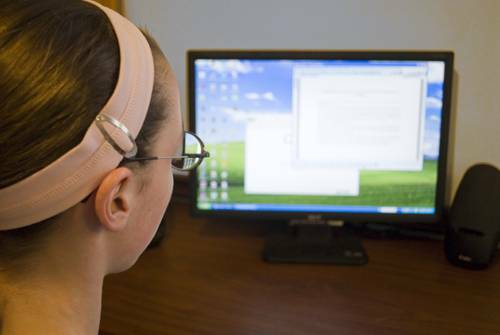 Eyestrain, headaches and fatigue are common side effects. Even more alarming, recent studies indicate that blue light exposure has the potential to increase risk of macular degeneration significantly over time. Those with a history of macular degeneration are at special risk, as well as children, due to large pupils and shorter arms, which cause them to hold electronic devices closer to their faces, both of which allow more blue light to penetrate the eye. As written on the Blu Tech website, "BluTech Lenses provide protection from UV rays and harmful high-energy blue light without altering or distorting color perception." 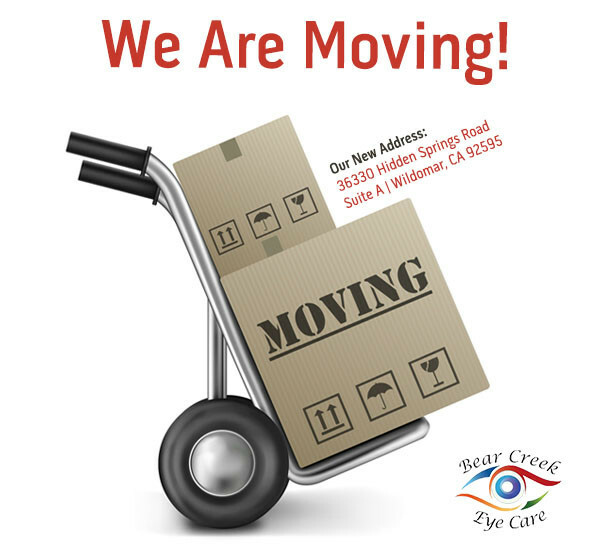 At Bear Creek Eye Care in Wildomar, CA we have offer plano lenses so that people who wear contacts or don't need a Rx can wear the glasses and protect their eyes against the damaging high energy blue light.